I won my soccer game! I won my soccer game! Two nothing. And I scored BOTH goals! Look at my muscular soccer legs! 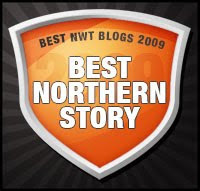 They pwn! I am on two soccer teams. Fury and AMSL. AMSL stands for Aurora Minor Soccer League. And I don't know who is on my team yet for AMSL. But I know who's on my team for Fury. I had a game yesterday with the big kids. And some of them are 13. They are a lot older than me. The new fieldhouse rocks. If you haven't seen it, you should go see it. 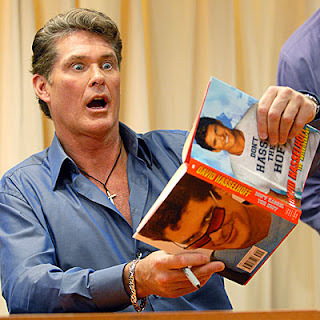 This is David Hasselhoff reading Don't Hassel The Hoff. This is ME. Reading Don't Hassel The Hoff. Do you see the resemblance? Oh, and by the way, the book gives you a clue about not hassling the Hoff. So don't. This is for the contest on my mom's blog. I am always in it. And maybe I will win. There is a secret judge and my mom won't even tell me who it is. Weird, huh?